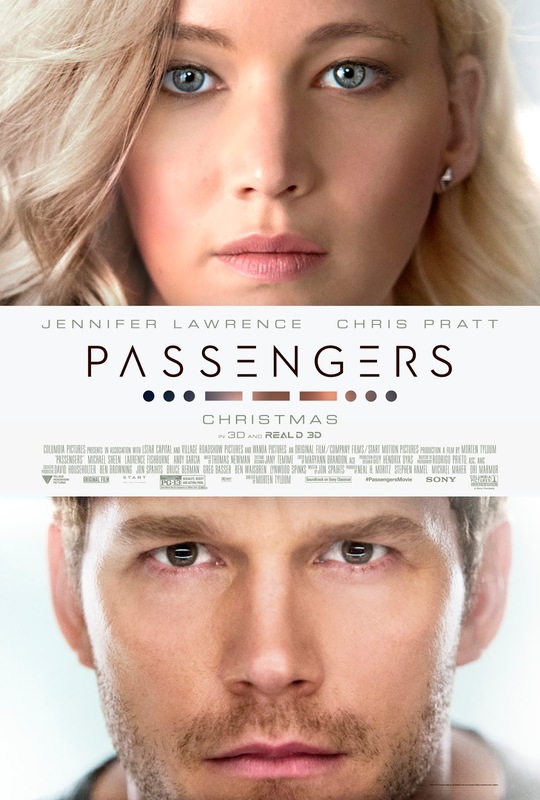 A sci-fi romantic thriller, starring Jennifer Lawrence and Chris Pratt. It was directed by Morten Tyldum (who also directed the 2014 critically acclaimed hit 'THE IMITATION GAME'), and it was scripted by Jon Spaihts (who also co-wrote the sci-fi hits 'PROMETHEUS' and 'DOCTOR STRANGE'). The movie tells the story of two passengers; that awaken 90-years early from induced hibernation, on a 120-year space flight to another planet. The film also costars Michael Sheen and Laurence Fishburne. It's received mixed reviews from critics, and it's also under-performed at the Box Office. 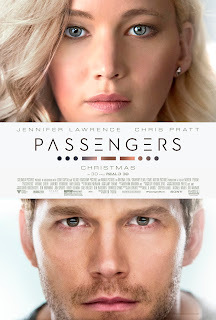 I enjoyed it, but I enjoy everything with Jennifer Lawrence in it. The story takes place sometime in the near future, aboard the spacecraft Avalon. The Avalon is transporting 5,000 colonists to a planet called Homestead II (from Earth), and it's supposed to take 120-years for it to get there. Since the trip takes so long, the colonists are cryogenically frozen (for the duration of the flight). Two passengers unexpectedly wake up early, 90-years too early, and they also discover there's something seriously wrong with the ship. The film asks some good moral questions, the kind that can create some great conversations (and good debates); like all good science fiction should. It's definitely not a perfect film; I blame most of it's flaws on Tyldum's direction though (I had similar problems with 'THE IMITATION GAME'). I do think it's a good story, and a great concept, and the two lead actors are both good in it (Lawrence is much better though). It's also great to see a woman star getting top billing, in an adventure film like this, and also getting paid $8 million more than the male lead; even though he has quite a bit more screen time (and is arguably the central character of the movie). I think Lawrence definitely deserves it; she's a huge star, and this is a pretty entertaining vehicle for her.